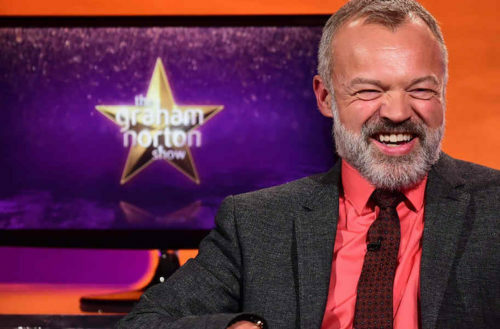 Those who watch The Graham Norton Show every weekend (it currently airs Saturday evenings in the States on BBC America) are well familiar with his “Big Red Chair” segment. The premise is simple: Audience members sit down one at a time in the chair, where they’re supposed to tell their best story ever. (Usually it’s an embarrassing one, but not always.) The genius part of the segment, though, is that when Norton has heard enough — either because you’re taking too long to spit out the story or, well, it just wasn’t all that interesting — he pulls a lever that sends you hurtling backwards. I had a gentleman caller, and he was fine. The next morning I waved goodbye to him and slammed the door — bye, bye, and that was that. I went upstairs to clean up some of the debris … things you don’t want the cleaner to find. I was putting everything away, but there was one bit of debris I could not find. It actually got to the point where I phoned the gentleman caller and said, “Do you know what happened to the thing?” and he said, “No, I don’t know what happened to it.” So I thought that must just be a mystery. That is a mystery! So that was the Monday night, Tuesday morning. Wednesday morning I was out and about in the park as usual with my dog, Bailey — quite a big labradoodle. He did his business, and I picked that up. I walked over and I put that in the bin, and then I looked back and Bailey is lying on the ground clawing at his backside. There it was, like a great big ghostly finger hanging out of him. So I had to get it out. Now, all I’ll say is no matter how stretchy you think they are, you’ve no idea! Honestly, I was half way across the park with this thing! Anyway, that would be my red chair story. Now that is a Big Red Chair story! What about you? 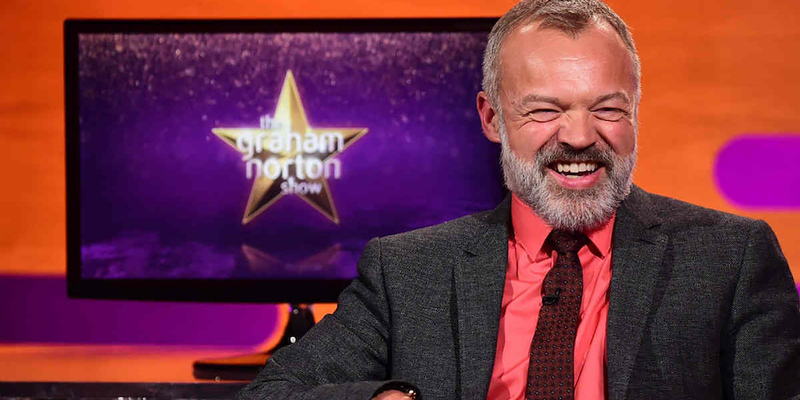 Do you have a Graham Norton Big Red Chair story of your own?